I recently came across an interview in The Christian Science Monitor Weekly (Feb. 16, 2015) that intrigued me. The interview is with Victoria Zackheim, editor of a new book titled “Faith.” According to the interview, Zachheim posed several questions to 23 professional authors. Their responses are collected in the anthology. I thought, why wouldn’t you be comfortable with your own beliefs, they’re yours! And she says some of her beliefs confused her? At first, I didn’t understand that at all. I assumed we would all believe whatever the evidence told us was true; end of story. However, thinking a bit deeper, it occurred to me that she likely is one of those faith-driven people who believe some things without evidence and without giving them any real thought. Thus, she could really believe some things without knowing why, since her beliefs don’t necessarily require evidence. At the end of the interview she is asked whether the project changed her belief system in any way. She answered, “Without a doubt, yes.” She said the answers pressed her to reevaluate her own beliefs. The essays “forced me to look even deeper into my own faith and question every aspect to discover what I believe.” Wow! She had to “discover” what she believed? She didn’t even know? Frankly, I can make no sense of this comment at all. Nevertheless, the interview and several customer reviews on Amazon made me want to read the book, so I have ordered it. It hasn’t arrived yet, so I thought I would write my own semi-essay, as though I had been asked as one of her authors. From the interview, it appears that the main question she posed the contributors to her book was, “What do you believe?” And apparently she clarified her question by asking also: “In what do you trust?” “Do you believe in god?” “Why or why not?” Some of the authors asked her to explain more clearly what she meant by “faith.” So, what the word “faith” meant to the authors was apparently a primary thrust of the book. So, what does “faith” mean to me? Well, it means many things. First off, faith means never having to say you need a good reason to believe. Believers regularly believe with the worst of reasons, starting with, “It’s what I was taught as a child.” Of course this is why the believers in India are mostly Hindu, the believers in Indonesia and Saudi Arabia are mostly Muslim, the believers in Israel are mostly Jewish, and the believers in Europe and the Americas are mostly Christian; which means that what most of them believe, worldwide, must be false (because no religion has a majority). I can’t imagine a worse reason to believe in a religion. Loftus is absolutely right, of course, since no one has ever presented a logically and evidentially sound reason to believe in any particular god or religion. If they had, would there still be so many religions and sub-sects? So, why don’t I believe in any gods? Here, my problem is how to whittle a long list of arguments down to the essentials. First, let me say that if there is a god, then that god likely bears little resemblance to Bible-god. Bible-god is simply too flawed and human-like to pass as an all-powerful, super intelligent entity. I could go on for pages on this issue, as could most of you, but let me just give one example of what I mean. In Exodus 11:5, god is angry (a very human emotion), so he says, “Every firstborn son in Egypt will die, from the firstborn son of Pharaoh, who sits on the throne, to the firstborn son of the female slave, who is at her hand mill. . .” This action is simply absurd on so many levels. God is angry at the Pharaoh, so he kills thousands or millions of innocent sons? He kills the innocent to punish the guilty? Guess he showed that nasty pharaoh, huh? This is simply too vicious and unfeeling for a god. It shows no sympathy whatsoever for innocent humans. And, the Bible simply reeks of such heartless brutality. All the evidence suggests that Bible-god was created in the image of a man, a despotic, cruel ruler of men. Well, if not Bible-god, could there still be some other god out there somewhere? There have been thousands of gods created by man and believed in by him over many thousands of years. These gods, as they have been described, are contradictory, so if any one of them actually exists, then man has been duped over and over by thousands of fake prophets to believe in thousands of false gods. Clearly, man is ill equipped to differentiate a true god from false gods. I would add that since many thousands of gods have been false, the odds are overwhelming that any god one holds up for scrutiny is false. Also, if there is a god who actually interferes in any way in human affairs, say by answering prayers, then I believe that science would have identified that fact by now. Man has identified and correctly described all sorts of invisible things, from electrons to gravity, dark matter, dark energy, and so forth. It seems very likely that if there were a god-force at work in our world, it would have been detected by now as a force which acts to temporarily suspend the laws of nature. No such force has ever been positively identified. And, incidentally, whenever prayer has been tested with the rigorous standards of science, it has failed to show that it works. If there is a god, then he is extremely well hidden, and any evidence for his existence is ambiguous in the extreme. Over the past few hundred years, thousands of things once thought to be supernaturally caused – like thunder, lightning, disease, human birth, etc. – have been shown to have natural causes. Over the same period, absolutely nothing once thought to have a natural cause has been shown to have a supernatural cause. Do you see a trend here? Aren’t I justified in suspecting that all things have natural causes, and that no supernatural realm in fact exists? I would say that the odds are very strongly in my favor. If there is a god who actually interferes in any way in human affairs, say by answering prayers, then I believe that science would have identified that fact by now.Now, the standard reply of the theist is, if there’s no god, then where did the universe come from? This is just too easy; if complex things need a creator, then – as the most complex thing of all – so does a god. In other words, if you couldn’t get something from nothing, then you couldn’t get a god. One of the most common arguments of Christians on the existence of god references Romans 1:20, where Paul writes, “For since the creation of the world God's invisible qualities--his eternal power and divine nature--have been clearly seen, being understood from what has been made, so that people are without excuse.” But this requires one to assume that whatever exists in the world was made by a god. Paul doesn’t offer any evidence for this. Or, as this passage is sometimes argued, the existence of god is implied from the good and beautiful things that exist in the world. But, this works only if one ignores the horrible things that exist in that same world; things like birth defects, cancer, and the fact that for many creatures to live, others must die. In short, if there’s a god at work in this world, why can’t we find him, or at least some positive traces of him? Personally, I find the evidence overwhelming that there is no god. Every day I find the world looks and acts just as I would expect it to look and act if there were no god. True, this is not proof, but I think the reasoning I have provided above fulfills the requirement of “beyond a reasonable doubt,” and that’s the best anyone can do. 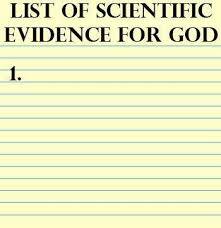 As I see it, I’m a reasonably smart guy, and I have looked really hard for the evidence of a god and found nothing. Now, if there’s a god who punishes people for doing the best they can to understand the world, then that god is capricious and unfair and we are all in trouble no matter what we believe or how loudly we proclaim it. Such a god makes no sense to me and, in the end, that’s the test I must put my “faith” in. ExChristian.Net: What do I Believe?